Winnipeg, Manitoba, January 14, 2013 – How far has science taken us? How much further might it go? 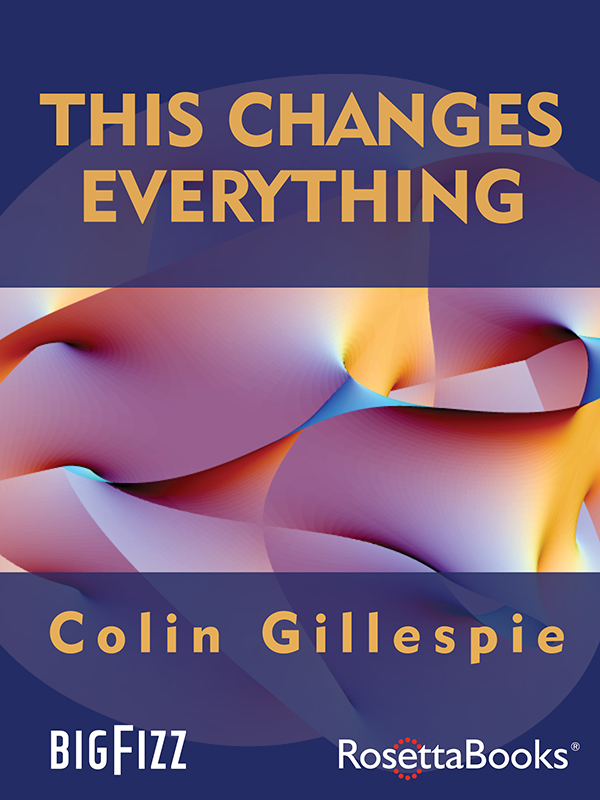 In his new eBook, This Changes Everything: New views on the physics, philosophy, and religious thinking that matter to us all, author Colin Gillespie offers his fascinating take on the scientific revolution. Now available from Amazon, Barnes & Noble, iTunes, Kobo, the eBook is published by Big Fizz Inc., and distributed through Rosetta Books. This Changes Everything describes the context for Gillespie’s decades-long fascination with the most fundamental of questions: Who are we? How did we get here? Where are we going? In this engaging essay he revisits historical advances and frames them through the lens of imagination (what Einstein used to call a “thought experiment”) to come up with a new take on physics and cosmology – an elegant insight that changes everything. An independent publisher of printed books and digital media, Big Fizz promotes new thinking about deep – and sometimes old – ideas. Seeking to enliven dialogue with the communities it shares, Big Fizz uses new media, commissioned art, and a variety of live and virtual events to prime the conversation. Colin Gillespie is a physicist turned lawyer turned author. He has a passion not only for science but for literature (with an especially warm spot for fictional detectives). Over the course of an eclectic career, he has researched, lectured, and explored the world (50 countries and counting). A distinguished scientist, he has written more than 30 articles in international peer-reviewed journals on radiation biology, biophysics, neurophysiology, and physics. To learn more, visit www.colingillespie.com.